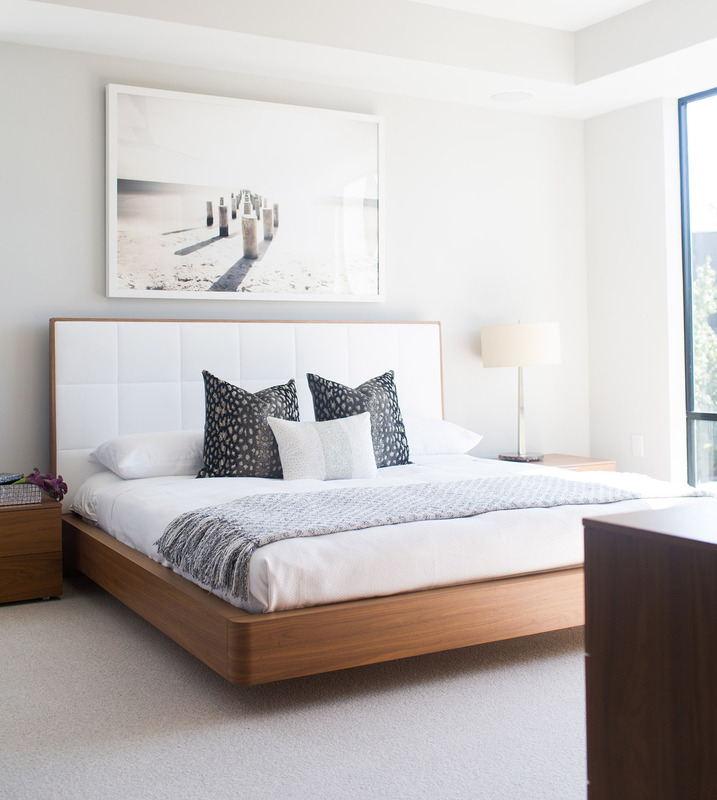 Although it’s often the most easily overlooked space in your home, the bedroom is arguably one of the most personal as it’s the one place you can go to seek refuge after a long and hectic day. That’s why it’s important that it not only inspire peace and serenity but that it also reflects your style and personality. 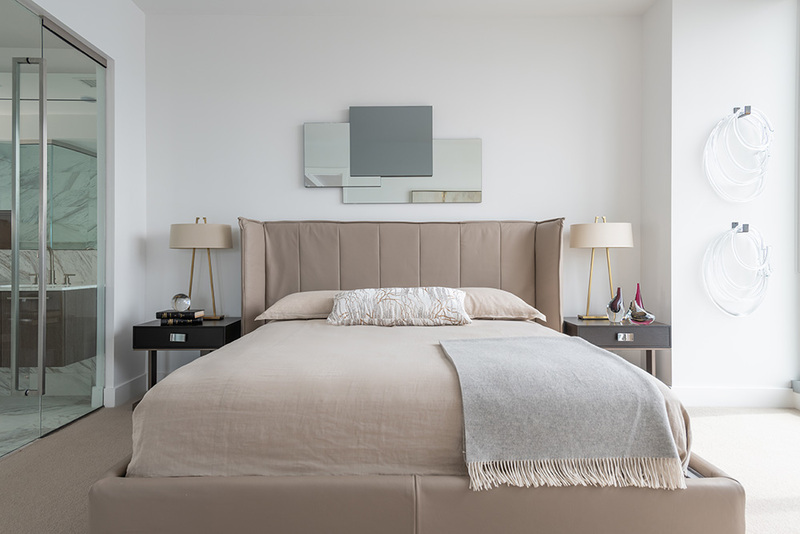 From luxe and refined to neutral and serene, we’ve rounded up six of our most blissful bedrooms created by our talented designers to help inspire your dream space. Scroll on and be sure to click on each image to see the full home tours! Inspiration can come from just about anywhere and for Cantoni designer Sarah Buehlman she found it immediately in this luxurious apartment’s vibrant San Diego neighborhood. Utilizing a peaceful neutral palette with playful pops of color and metallic accents, she was able to bring the outdoors in while simultaneously creating a calming escape from the bustling city below. In this bright and airy light-filled space, Cantoni designer Kohl Sudnikovich combined crisp whites with warm woods to create a fresh look with cozy vibes. With a monochromatic palette like this, the minimal artwork along with decorative pillows help to add additional texture and interest. 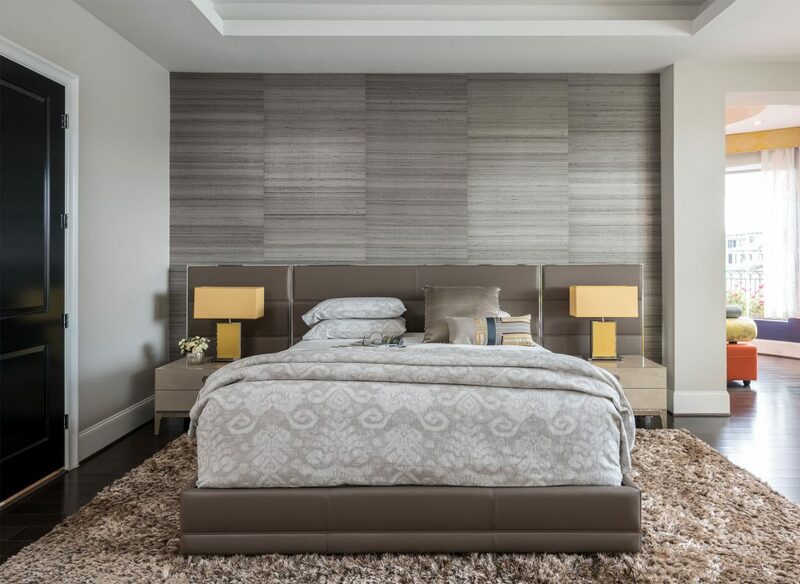 Warm taupe tones plus this linear leather headboard with side panels from our luxurious M Place collection offer a sophisticated, statement-worthy backdrop in this alluring modern bedroom. The yellow bedside table lamps add just the right amount of pop to elevate the look. It’s clear to see that neutrals are a fail-proof palette when it comes to creating a calming bedroom retreat. What sets this luxe bedroom apart though are the subtle yet unexpected accents like our Blocks mirror above the bed and the unique hand-blown glass sculptures on the adjacent wall. For this cool, calm and ethereally collected space in the clouds, Cantoni designer Mercedes Williams selected pieces from our Black & More Collection in a very fitting dreamy mix of creams and whites with high gloss black lacquer accents to add contrast and a touch of drama. 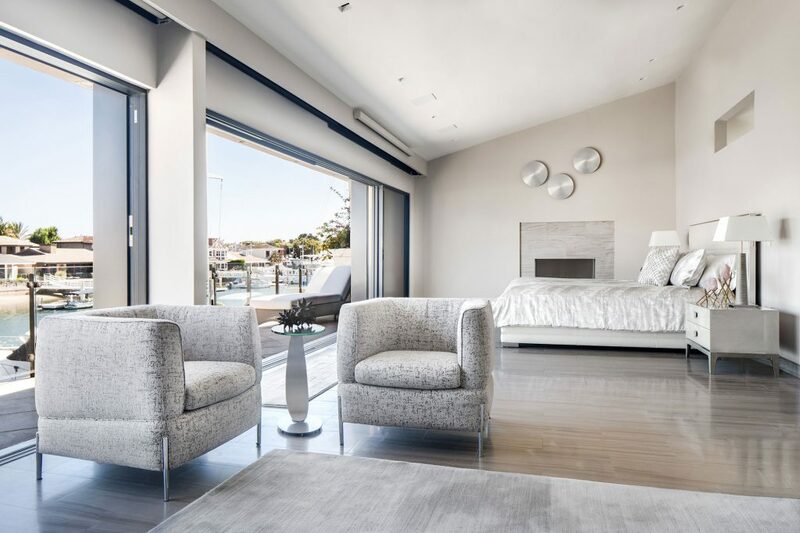 To create the ultimate master bedroom escape, Cantoni designer Richard Bustos combined creams, light grey tones, and chrome accents for a contemporary look that capitalized on the expansive bay views. 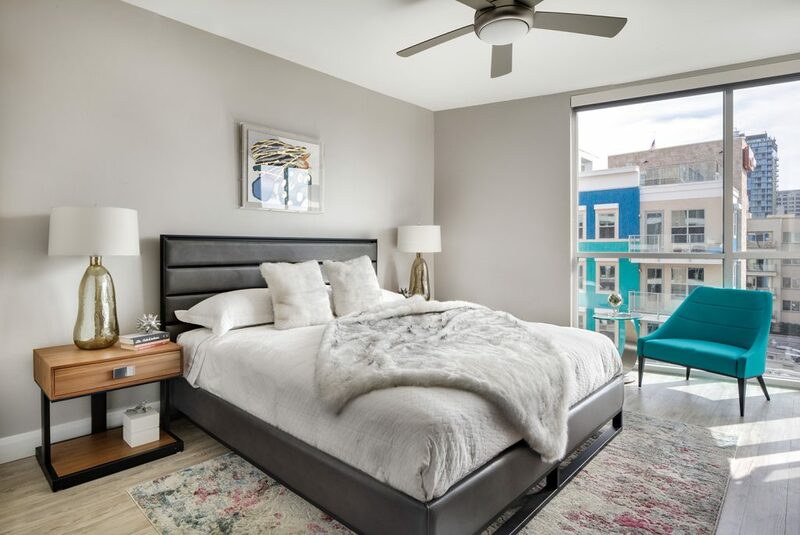 Whether you’re in need of a major bedroom makeover or simply looking for a few pieces to update your space, we have the solutions and expertise to help. Shop our wide selection of modern bedroom furniture and take advantage of special savings during our Bedroom Event. Our talented team of designers are also available and eager to help. Click here to connect and schedule a complimentary consultation today!